When an object is being delivered, you will be prompted for the actions to be performed when the deliver to is performed. 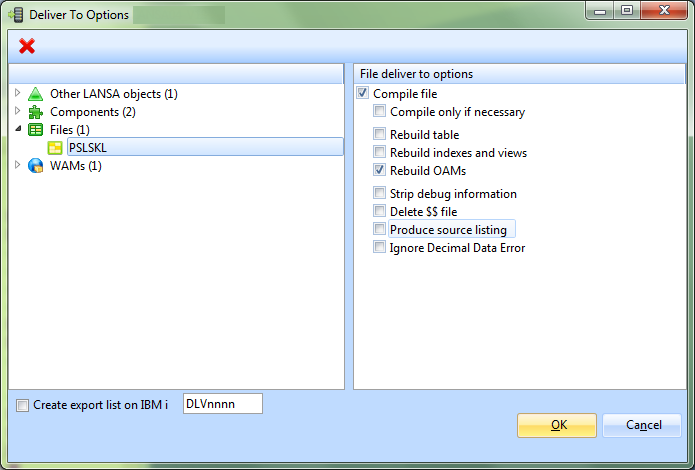 When delivering to an IBM i a checkbox is available to indicate if an export list of the delivered objects should be automatically created on IBM i during the deliver to processing. By default the export list will be created with the name DLVnnnn where nnnn is the next available descending number based on existing export lists e.g. the first export list will be created as DLV9999, on the subsequent check in the next export list will be created as DLV9998. To create an export list with a specific name or append to an existing export list, nominate the name in the space provided (do not use the prefix DLV or CKI). When delivering to a Linux system a checkbox is available to indicate if the Linux environment should be pushed to the cloud. A supporting comment should be provided when Push to Cloud is selected. A Remote System Monitor automatically starts when a Deliver To request is made. 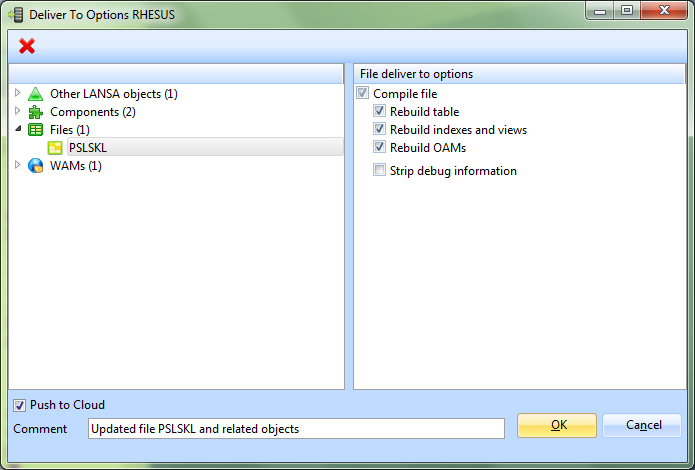 5.15 Initialize the Partition on the Deployment System.